If you love authentic handloom fabrics and garments but struggle to find a wide variety in Hyderabad, Weavesmart is your answer. The store collaborates with traditional weavers from all around India, making it super easy to get your hands on handlooms from various states. Weavesmart is a comprehensive online store that sources fabric from various handloom clusters in India like Chanderi, Jaipur, Assam, Dharmavaram, Kota, and Patola apart from the ones closer to the home like Pochampally, Gadwal, and Chirala. 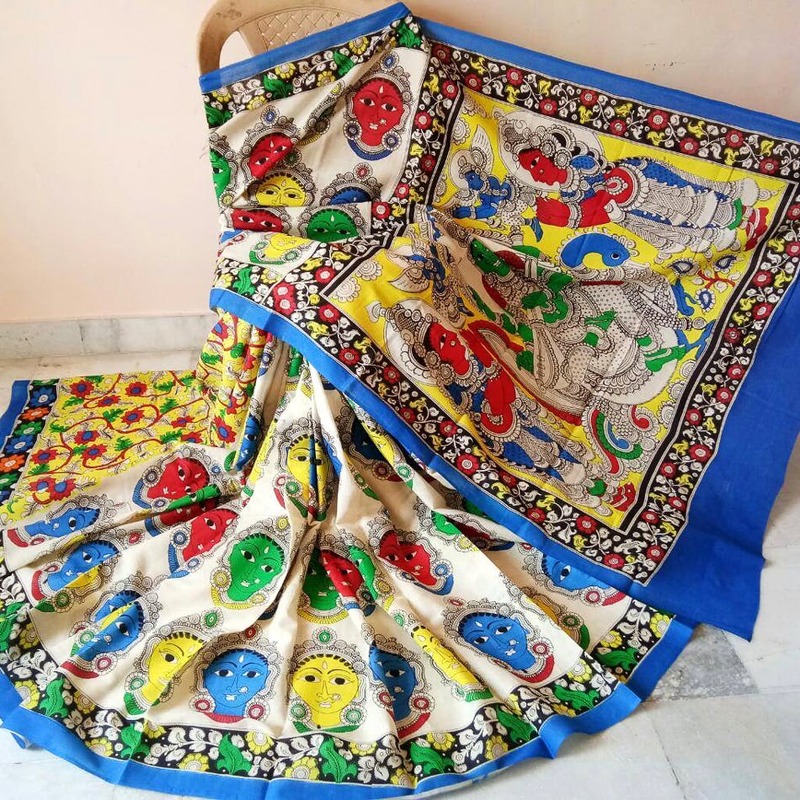 We found beautiful cotton dress materials from Mangalagiri, Gadwal, and Gollabhama; Silk sarees from Pochampally, Kanchipuram, Uppada, and Benaras. There's also stitched and unstitched blouses in beautiful ikat fabrics and durries from Warangal. There's an entire section dedicated to accessories like silk bangles, zardosi bangles, hand painted pencils and handmade bags. The designs are beyond beautiful and speak volumes about our weavers and their excellent workmanship. The price range begins at INR 500 and can go upto INR 7,000 and beyond depending on what you choose. All of Weavesmart’s offerings are authentic, as all the handloom clusters are certified Indian handloom brand.